Now if you’ve been following this blog since its inception, then you know that we rarely ever find our target species. 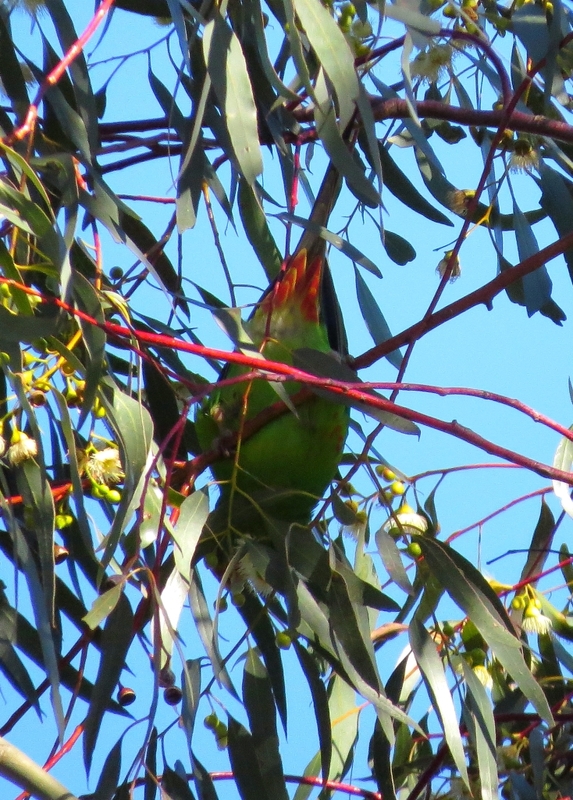 However, a recent twitch bucked that trend, and I am pleased to report that Swift Parrots are now on our life lists! To quote Colonel John ‘Hannibal’ Smith (from the 1980’s television series The A-Team), “I love it when a plan comes together”. Annoyance – because a few months earlier, we dipped on finding Swifties in Ocean Grove (a 250km round trip) yet here they were, in Bundoora, just 10 minutes drive from our house. Happiness – that such a rare parrot was reported in suburbia. Sadness – that because it was July (i.e. short days in the depths of winter) I would never get home from work early enough to see them before darkness set in. Disappointment – that even if I took a day-off to twitch them, Thursday and Friday were forecast to be the coldest days of the year, with driving wind, rain, and snow (in the nearby hills). So imagine my surprise (and elation) on reading a report that a group of 20 Swifties was feeding in the car park for the greater part of Saturday! 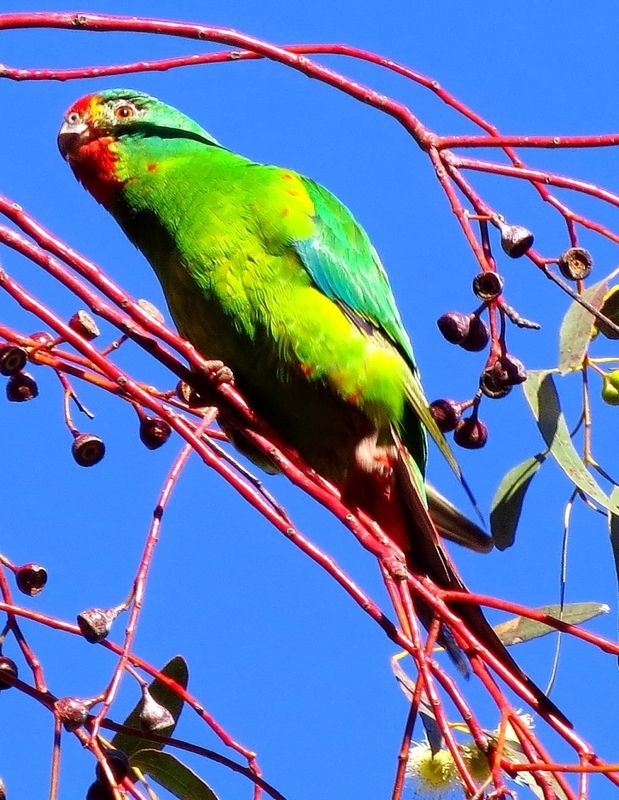 Swift Parrots, and the even rarer Orange-Bellied Parrots, are the world’s only long distance migratory parrots. Both breed on the island of Tasmania and fly 500km across the ocean (Bass Strait) to winter on the mainland. 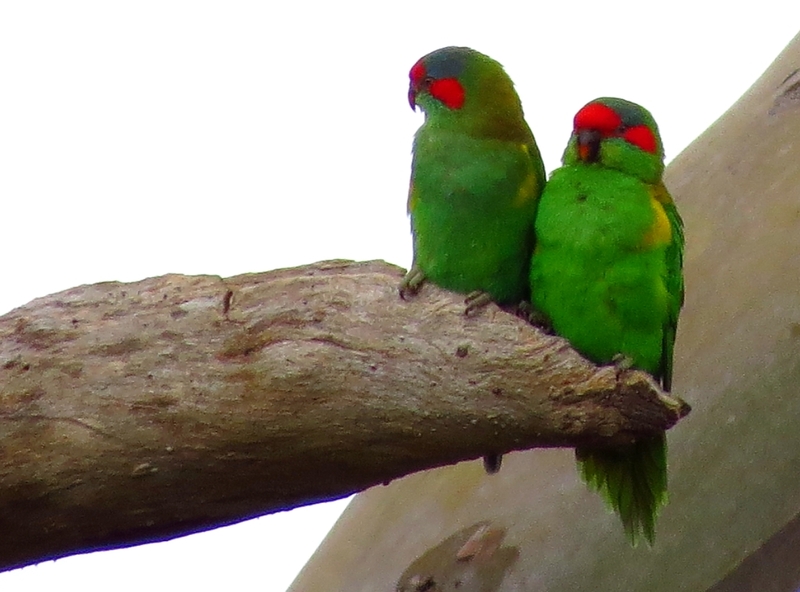 There are less than 2,000 pairs of Swift Parrots left in the wild: though their food is abundant on the mainland, ongoing deforestation in Tasmania destroys the trees/hollows they need to breed. 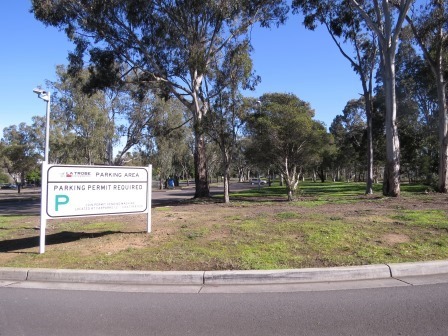 After a flurry of Facebook message exchanges with other birders who ticked the Swifties on Saturday, I pinpointed our target area to the flowering gums on the northern side of La Trobe University’s ‘Car Park 8’. Chores were divvied up, camera batteries were charged, binoculars were packed, and we were off. Ten minutes later, we drove into a large, almost empty car park. Empty, that is, except for the two birders who had bazooka-lenses pointed skyward! Success was imminent, or so we thought. I parked about 30 metres away from the birders, and Imka and I quickly grabbed our cameras, binoculars and jackets (it was a crisp 1°C morning). What happened next is straight out of a birder’s worst nightmare. We excitedly walked-ran the final 20 metres, only to see the birders looking off into the distance, lenses slung over their shoulders! 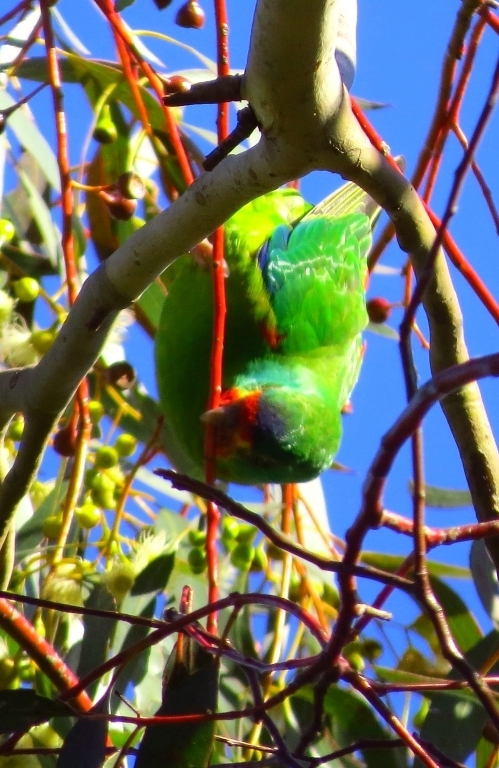 “Swift Parrots mate. About 20 of them, they were here and they just flew off!” said one of the middle-aged men pointing at some trees across the road in the fenced ‘Zoology Reserve’. A few minutes later, I surreptitiously checked the Morcombe birding app and worked out that the “vent” was on the underside of the bird in the area that it pooed from. This was a far more useful identification method than the ‘red on its neck’ feature that I used in the past. 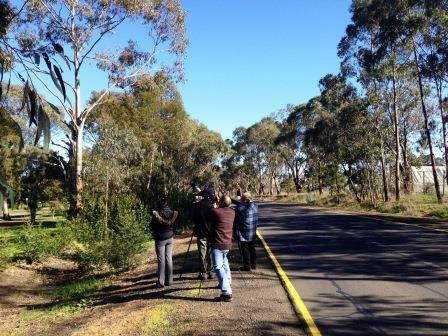 Armed with this new information, we furtively scanned the treetops and branches, but only managed to spot a few more common birds, including a mating pair of Sulphur Crested Cockatoos, Long-Billed Corellas, Rainbow Lorikeets, Galahs, and Eastern Rosellas. Ten minutes (and two sore necks) later, one of the birders excitedly waved us over from the other end of the car park. “They’re back!”, he said, and so they were. Imka and I couldn’t hide our elation – she frantically snapped dozens of photos, while I peered intently through my binoculars. 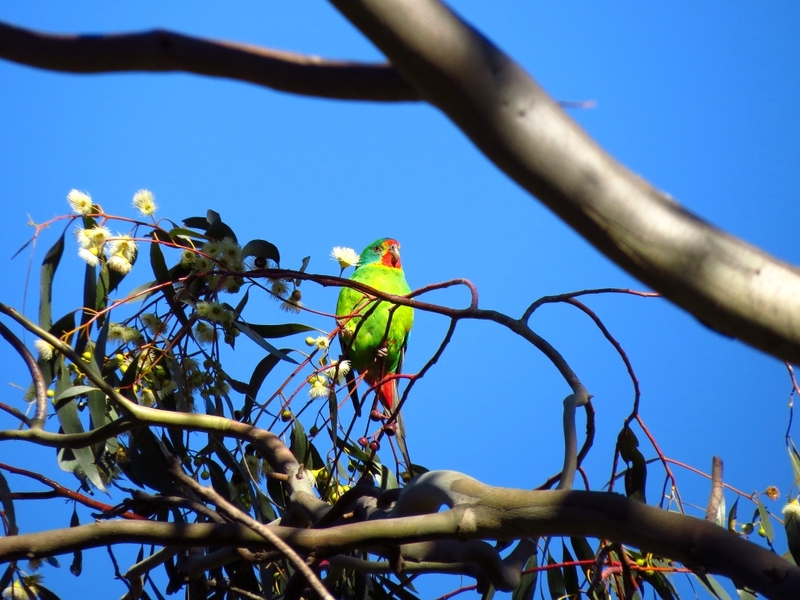 It was just a single Swift Parrot in the tree, and what a glorious sight it was. 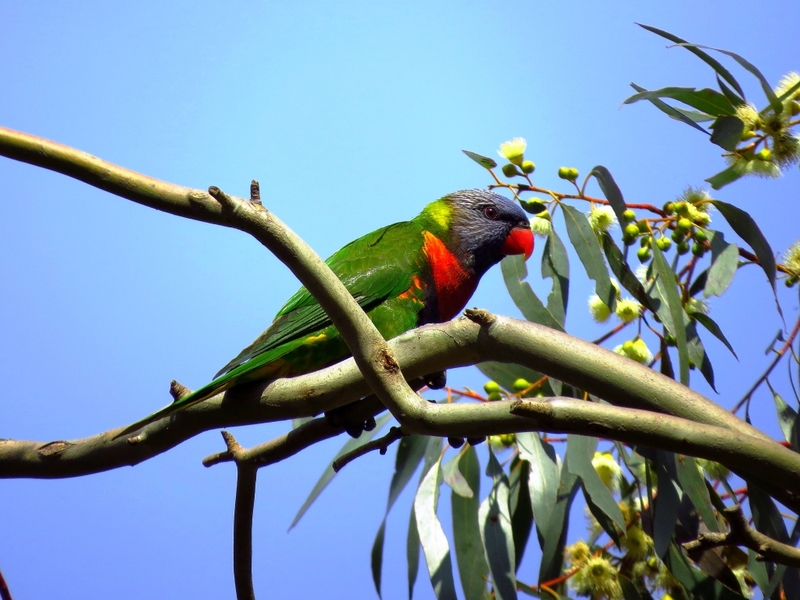 There was no mistaking it for a Musk Lorikeet: it was clear that Swifties were slightly larger than Musks, with longer tails and very prominent red feathers on their necks and vents. Two other birders (and another Swifty) joined us, and with multiple cameras pointed at the treetops, we were attracting considerable attention from passing motorists. One Aussie caricature with a large 4WD SUV, equipped with spotlights, a bull-bar, and snorkel exhaust, pulled over and said, “G’day mate. 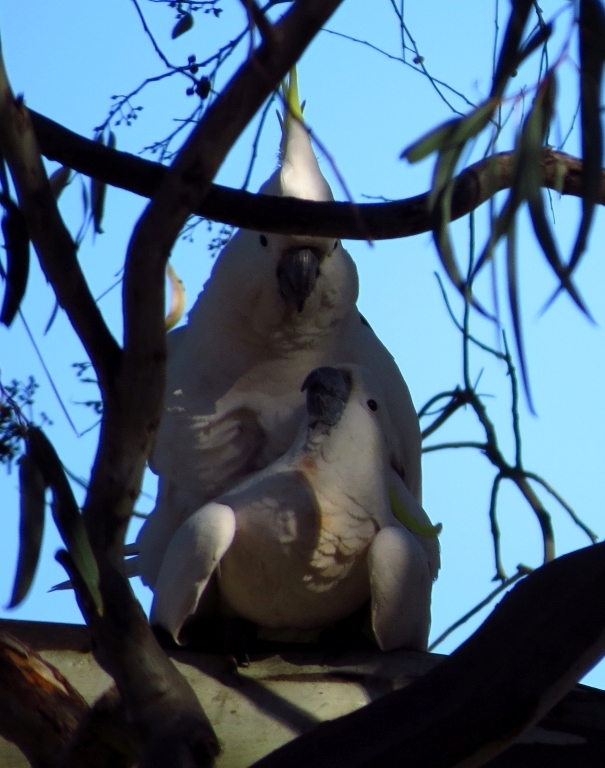 Is it a Koala?” “Nah”, I replied, “Just some parrots.” He scoffed and drove off. 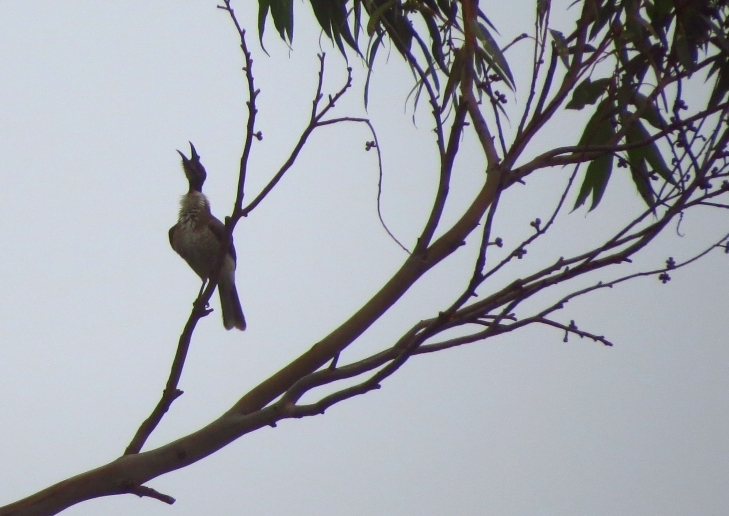 I had just completed a draft of this post when on Saturday 9 August 2014 I read a report of a pair of an even rarer species in a residential street in Bundoora: the Red-Whiskered Bulbul. 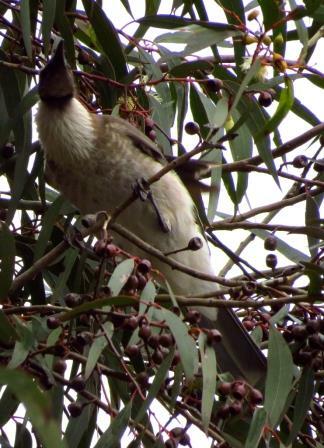 Although it is an introduced, South East Asian species that has thrived around Sydney, Bulbuls were always rare in Melbourne: the last confirmed sighting was back in 2009. Imka and I spent an hour cruising suburbia, along with at least three other birding vehicles, all using high-powered binoculars and camera lenses to peer into backyard trees. It was a comical scene reminiscent of ‘The Big Year‘ movie, but unfortunately, we all dipped that morning. Colonel Hannibal Smith would have been disappointed, especially since the bulbuls were reported the following day, at the same time and in the same area that we were patrolling just hours before. As I understand it, the Department of Agriculture will probably issue a kill-order to prevent an increase in numbers of yet another introduced species. The universe was kind to us though: on Saturday 16 August, a day after reading an online report (and a day before I planned to upload this blog post) we ticked another lifer less than 10 minutes drive from our house. 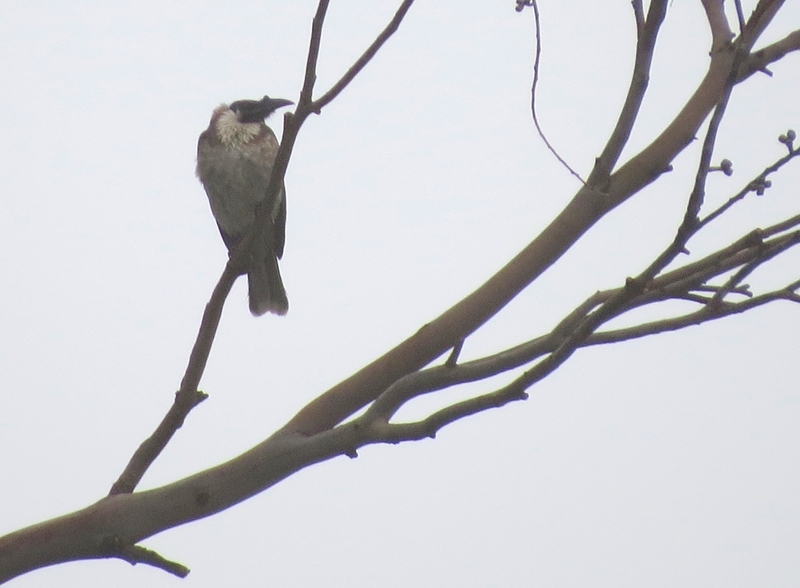 Unlike the elusive, introduced Bulbuls, this was a true-blue, native, Aussie bird: a Noisy Friarbird. These birds are far commoner than Swifties, being found along the entire eastern seaboard. A lone bird this far west in the tiny suburban ‘Price Park’ in Viewbank though, was worthy of Eremaea classifying it as a “one-star highlight”. 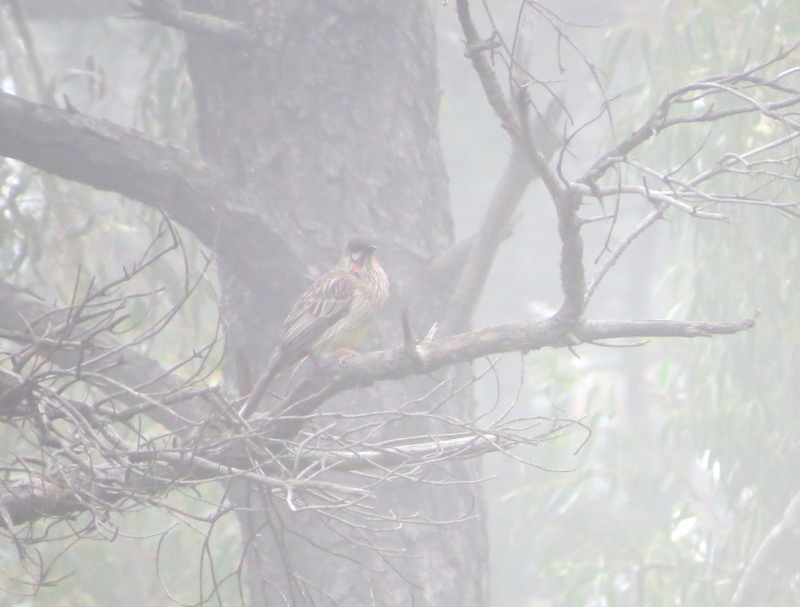 When we parked on Lyon Road at 9:30am, the park was shrouded in a thick blanket of fog. We made a beeline for the “flowering gums along the walking path below the toilets” as per the online report, and were only momentarily distracted by a case of mistaken identity. Flowering gums along the walking path below the toilets. Lyon Road is visible on the left. Drawn to its unique call, we found the Noisy Friarbird within two minutes of arrival, in exactly the same spot that it was reported 24 hours earlier. Despite not capturing great photos of the bird due to the dull light and thick fog, the images that we did get, were clear enough for identification. The Noisy Friarbird looks prehistoric, and downright scary! Its head is naked, like that of some vultures, and it has a distinctive bump at the end of its beak. According to the literature, it’s an omnivore that will eat anything from nectar to insects to chicks! About the size of a Red Wattlebird, this particular individual was confidently engaging in aerial battles with wattlebirds, lorikeets, and Sulphur Crested Cockatoos to protect its preferred tree. My Eremaea report got published! We observed its antics for another half an hour before we succumbed to the cold and decided to try our luck again – from the comfort of our warm car – with the Bulbuls just a few kilometres away. Though other birders saw them, we dipped (again), and vowed to never mention the word “Bulbul” in our house henceforth. 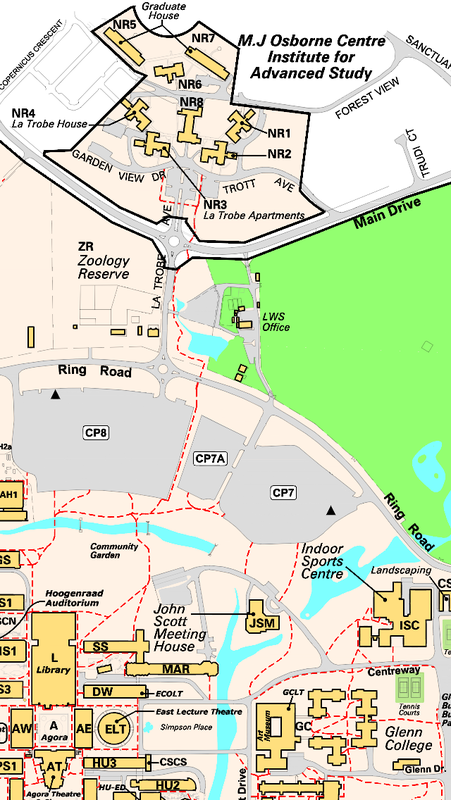 😀 We like to end our birding outings on high notes where possible, so on our way home we stopped at La Trobe University. 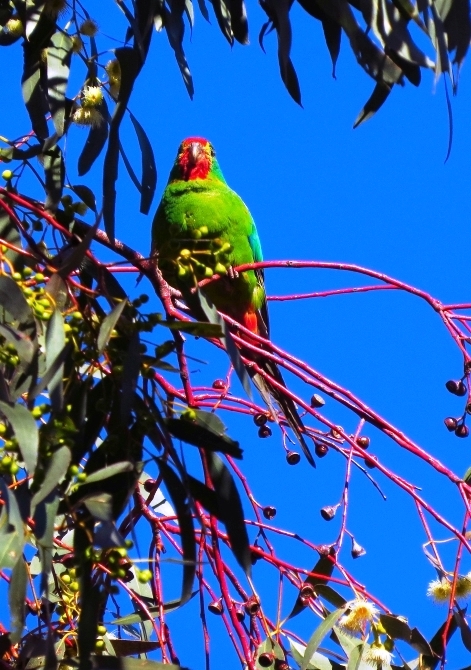 We were rewarded with a raucous Gang Gang Cockatoo flying over the Sanctuary, and sure enough, the Swift Parrots were in Car Park 8, feeding happily on the flowering gums, as they were two weeks earlier.